March was a great month for us! We had another event at Berry College and also walked in a parade for St. PETrick's Day! Compassionate Paws (our local therapy team) was invited to Berry to help senior students get in the mood for Spring Break. We stood next to their table which had punch, cookies, leis, and sunglasses: everything to get in the mood! 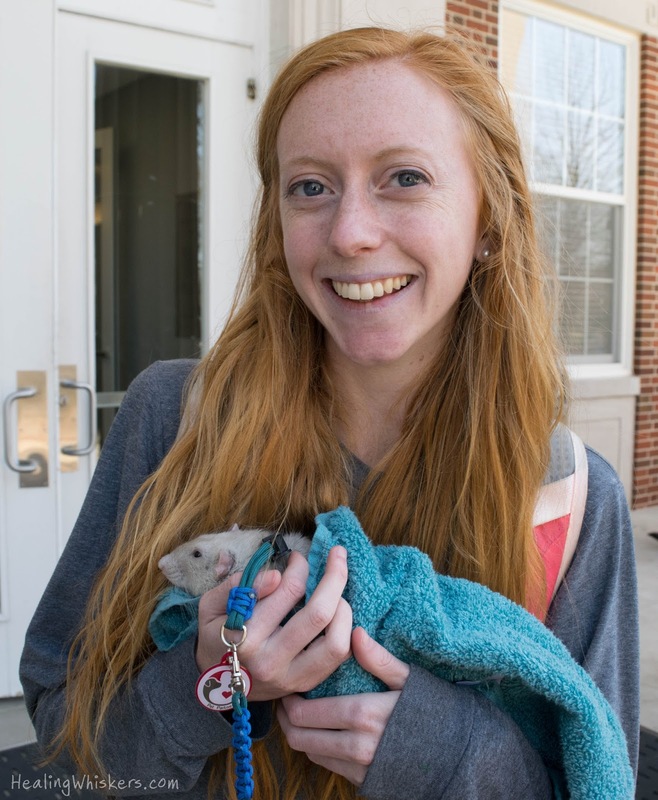 But of course you gotta be relaxed with the help of some animal-assisted therapy, right? 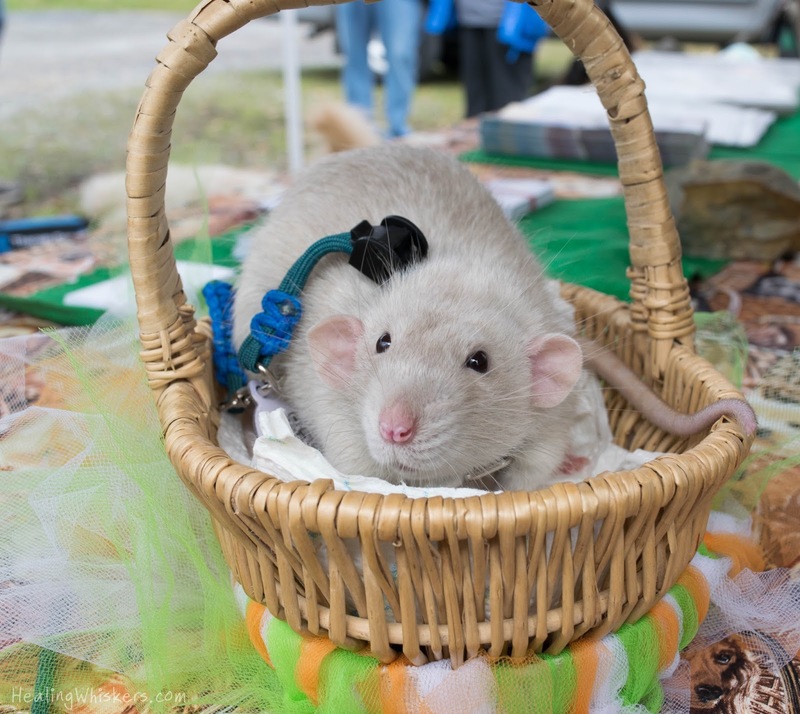 Oliver was a hit as always, and we even had some regular fans come and cuddle him for an extended amount of time. One thing I started bringing with me is a diaper bag. 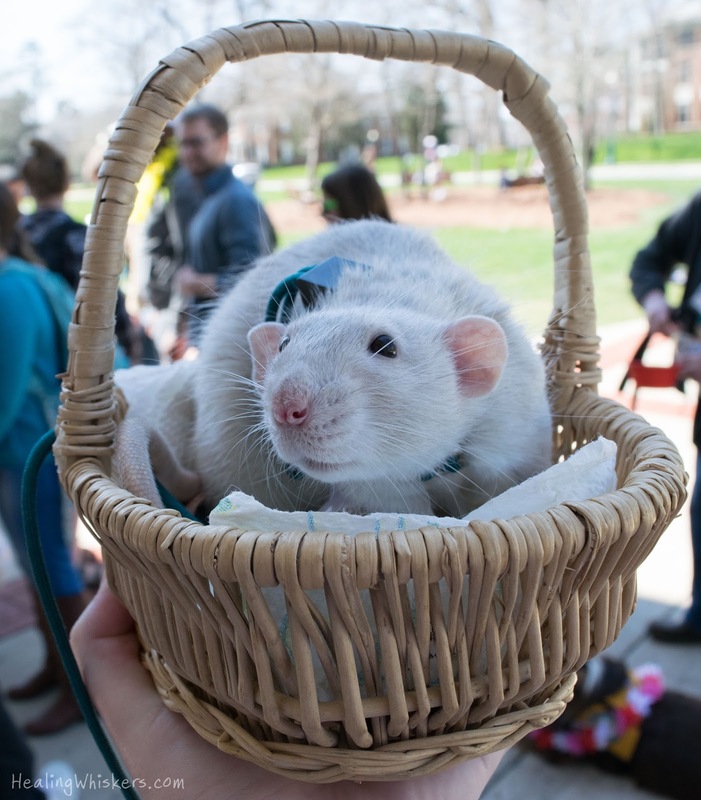 Yes, a diaper bag...for a single rat. It holds everything I need: wipes, paper towels, water for both me and Oliver, consent forms, and of course, treats! I will have a post later on with everything you need to bring with you and this is a cute way of doing so. 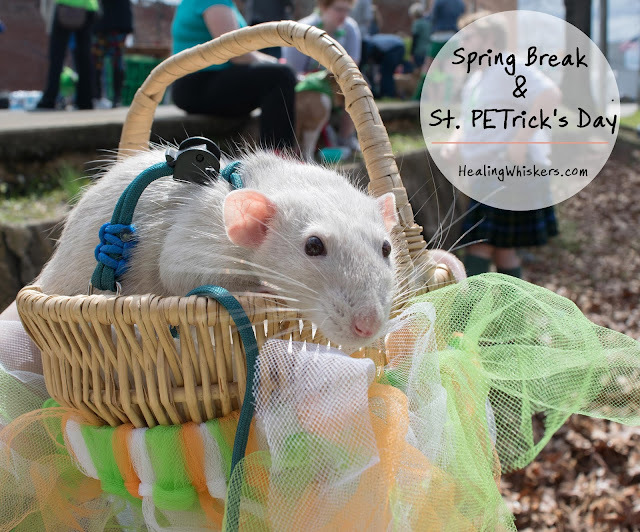 Another event we went to was the St. PETrick's Day parade! 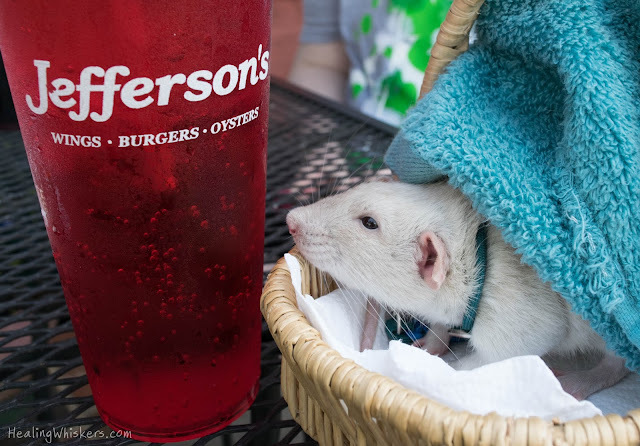 I have regularly gone to this for years and this is the 3rd time I've had a rat, so I've become the designated rat lady. 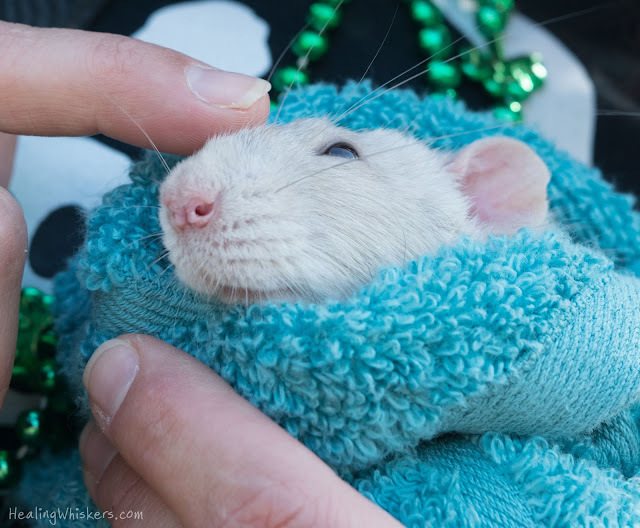 You can read about how this event really helped decide therapy work with rats was right for me. The parade was bigger than it had been in recent years because it was in the afternoon and we had dogs of all types, a bearded dragon, and even a cockatoo! Oliver got lots of cuddles and we held a Compassionate Paws banner in the parade. Before the parade started, we had people come up to our booth and pet all the animals and I even was interviewed by a local radio station! You can listen to the broadcast in the video below and also read the article. "All of this work gets me thirsty!" Do you like going to local parades? Let us know in the comments below! So cute. My cousin bought it for me on my birthday last year. It ran away somewhere and I have been worried since then. Anyways, it was good to have come across this post. The event space looks pretty in the picture and so does this little one.